Kerala Plus Two Results 2019 is expected to be announced soon by the DHSE Kerala. The Directorate of Higher Secondary Education, Kerala is likely to announce the DHSE Kerala Board +2 Result 2019 soon, as per the annual academic calendar. As of now, the Directorate has not declared any official date for the announcement of Plus Two Results 2019, but reports suggest that the DHSE Kerala has already started the preliminary preparations for the declaration of Kerala Plus Two Results 2019. The Kerala HSE Result 2019 is expected to be declared online and are likely to be made available online on the official website of the directorate i.e. dhsekerala.gov.in. As per tentative estimate, the Kerala Plus Two Result 2019 for Class 12 students will be out by the 2nd week of May 2019. However, this is merely a speculative date and the final date will be announced soon. With the date of the DHSE Kerala Result 2019 approaching, there are several rumours doing the rounds about the Kerala 12th Result 2019 declaration date. However, currently the DHSE Kerala is yet to announce the official release date for Kerala Plus Two Result 2019. To steer clear of the rumours, students can bookmark this page and visit it regularly for latest and authentic news and updates about Kerala Result 2019. As per the latest news doing the rounds, the DHSE Result 2019 announcement might just be around the corner. Since the completion of the Kerala 12th Board Exams, students have been eagerly waiting for the declaration of Kerala Plus Two Result 2019. This year, the Directorate of Higher Secondary Education Kerala conducted the Class 12th (DHSE) Examination for academic year 2018-19 from 6th March 2019 to 27th March 2019. Considering that the exam was conducted in line the general academic calendar of followed by the Kerala Board, it is likely that the Kerala Plus Two Result 2019 will also be announced on time i.e. in the second or third week of May 2019. All those candidates who have participated in the 12th board examination will be happy to know that, the declaration of their Kerala 12th Board Exam Result 2019 is just around the corner. They will get all the necessary updates on Jagranjosh.com, here on this page. Student should remain calm and composed until the official declaration from the Board. While there is no official announcement from the Kerala board, the Kerala DHSE is expected to complete the evaluation and checking process by mid-March and begin the compilation of data for Kerala plus two result 2019 after that. Keeping up the annual academic tradition of DHSE, the Kerala plus two result 2019 would be announced online on the official websites of the board i.e. keralaresults.nic.in, result.prd.kerala.gov.in & results.kerala.nic.in. With the announcement of Kerala 12th Result 2019, students will be able to begin their new journey to fulfill their undergraduate academic goals. Kerala Plus Two Result will be a stepping-stone for them, as the Kerala HSE Result 2019 would be considered for admission and for enrolment in several competitive entrance examinations. Post the declaration of Kerala Board 12th Result 2019; DHSE, Kerala will issue detailed notification for the re-checking and re-evaluation process. This process will be very important for the students who feel their answer sheets have not been evaluated fairly for the Kerala HSE Result 2019. In the rechecking process, the Directorate of Higher Secondary Education will re-tally the marks awarded to the students in the respective subject to find any calculation errors that might have occurred during the totaling of the marks. Similarly, in the Re-evaluation process, the Board generally gets the entire answer sheet re-checked from an independent evaluator to ensure that fair evaluation has happened. However, the process of re-checking and re-evaluation differs from one school board to another and actual process and information regarding it will be made available by the Kerala Board after the declaration of Kerala HSE Result 2019. 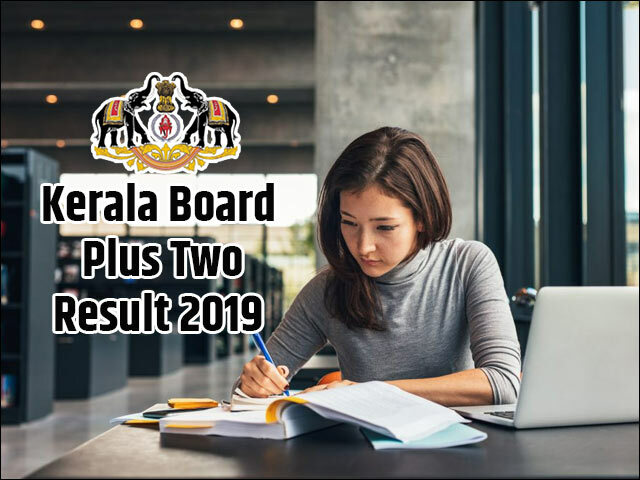 Once the Kerala Plus Two Result 2019 are announced, the Directorate of Higher Secondary Education will issue a detailed notification for Plus Two Compartmental Exam 2019. The Compartmental Exam is held for the students who have either failed in a few subjects or for those who want to improve their score in DHSE Compartmental Results 2019 by reappearing for the test. The main advantage of this exam is that it allows students to take improve their marks in the Kerala Board Plus Two Result 2019 without wasting an entire year. The Kerala HSE Compartmental Result 2019are generally announced in the month of June and this allows students to seek admission to different colleges in time without wasting an entire year. Jagranjosh.com will keep this page updated with the latest information and updates about the DHSE Compartmental Results 2019. Students are requested to bookmark this page and visit it regularly to get these updates. Kerala Plus Two Result 2019 will pave the way ahead for the start of college admission season for the students who have cleared the examination. Students will be able to seek admission to an array of undergraduate courses and programmes on the basis of their performance and marks in the Kerala HSE Result 2019. Keeping in mind the highly competitive nature and the limited timeframe of the college admission, students are advised to keep all the necessary documents like marksheets, passing certificate, migration certificate and leaving certificate, ready with them for the admission formalities. The Directorate of Higher Secondary Education i.e. DHSE, Kerala manages the Higher Secondary, Secondary and Vocational Higher Education in the state. DHSE, Kerala was setup in the year 1990 in line with the National Education Policy. The key goal of DHSE was to segregate the pre-degree courses from the university education and integrate them under the one single authority. The Vocational Higher Secondary Education scheme was started in 1983-84 with a limited number of courses in 19 selected schools. Later through the gradual expansion over the period of three decades, the number of associated schools has grown to 389 and more than 45 modernised courses are on offer now. Over the years, the Directorate has also been entrusted the responsibility of conducting the SSLC and Plus Two or HSC Exams every year. Kerala Education Department has released a new time table for the Class 10 SSLC exam 2019. Check further details here. The Kerala Board has declared the Kerala Board Class 12 Results or DHSE +2 Result on the official website, i.e. keralaresults.nic.in. The Kerala Board has announced the DHSE +2 Result today. The candidates can check the results on the official website of the board i.e. keralaresults.nic.in. DHSE Kerala to announced the Kerala Plus Two Result today for nearly 4.42 lakh students. The Kerala HSE Result 2017 will be live and available on official website of the board i.e. keralaresults.nic.in and dhsekerala.gov.in. The Directorate of Higher Secondary Education (DHSE Kerala) has declared Kerela HSE 12 (Plus Two) 2017 results today through their official website keralaresults.nic.in. A total number of 4.4 lakh students will be able to check their DHSE Results 2017 online. The Department of Higher Secondary Education, Kerala has announced 10th May as the tentative date for the declaration of Kerala HSE Results 2016. After the official declaration, Kerala DHSE (+2) Result 2016 will be available on official website results.kerala.nic.in and dhsekerala.gov.in. The Kerala DHSE Results 2016 will be declared, for Class 12th Board Examination, on 10th May. After declaration of DHSE result students can log on to the official websites dhsekerala.gov.in and keralaresults.nic.in. The DHSE Kerala has just announced the Kerala 12th Result 2016. The Kerala DHSE Results 2016 are now live and available on the official websites dhsekerala.gov.in and keralaresults.nic.in.